This introduction to random walks on infinite graphs gives particular emphasis to graphs with polynomial volume growth. It offers an overview of analytic methods, starting with the connection between random walks and electrical resistance, and then proceeding to study the use of isoperimetric and Poincaré inequalities. The book presents rough isometries and looks at the properties of a graph that are stable under these transformations. Applications include the 'type problem': determining whether a graph is transient or recurrent. 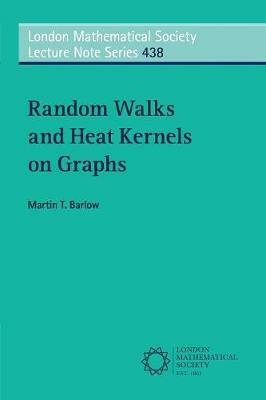 The final chapters show how geometric properties of the graph can be used to establish heat kernel bounds, that is, bounds on the transition probabilities of the random walk, and it is proved that Gaussian bounds hold for graphs that are roughly isometric to Euclidean space. Aimed at graduate students in mathematics, the book is also useful for researchers as a reference for results that are hard to find elsewhere.